Congrats to Steve and Natalie! Congrats to Dr. Steve Luk and Ms. Natalie Li on obtaining their PhD and MPhil degrees, respectively. Your hard work paid off. Well done!! And thank you to both for the thoughtful and sumptuous dinner! 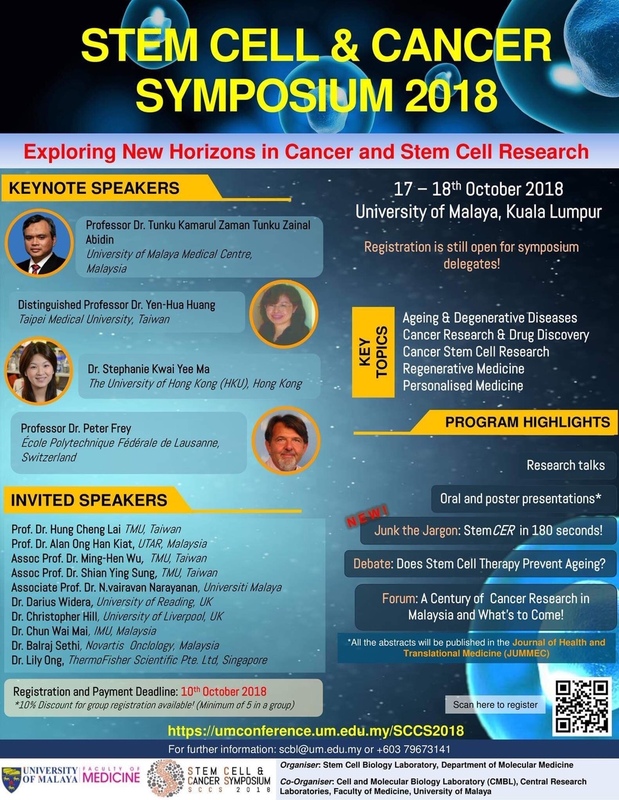 Thanks to Selvee for the kind invite, Stephanie presented the lab’s work on liver cancer stemness at the Stem Cell & Cancer Symposium 2018 held at University of Malaya in Kuala Lumpur, Malaysia on 17-18 October 2018. Congrats to Eric on his EACR Bursary! 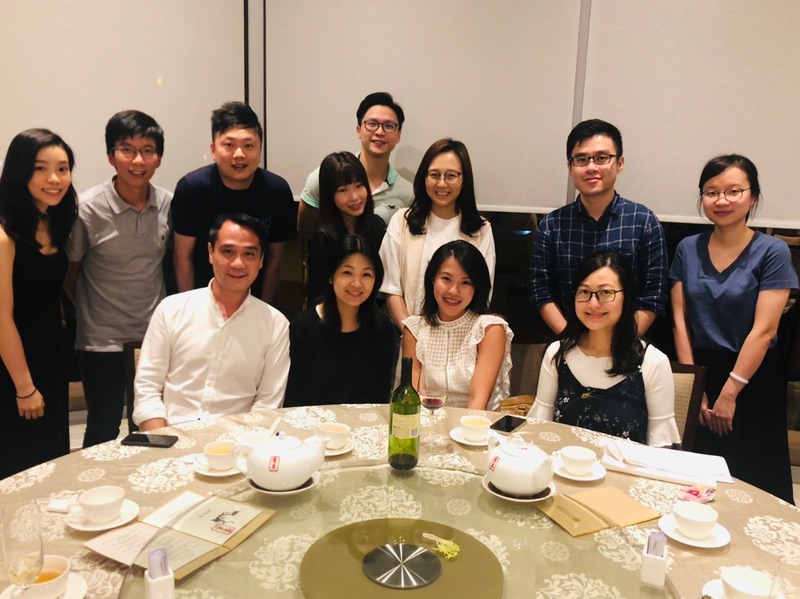 Our post-doc Eric Wong was awarded one of five European Association for Cancer Research (EACR)-Worldwide Cancer Research Meeting Bursaries and presented his work at the EACR – Mechanisms to Therapies: Innovations in Cancer Metabolism meeting that was held in Bilbao, Spain from 9-11 October 2018. Our new paper in Cell Reports! 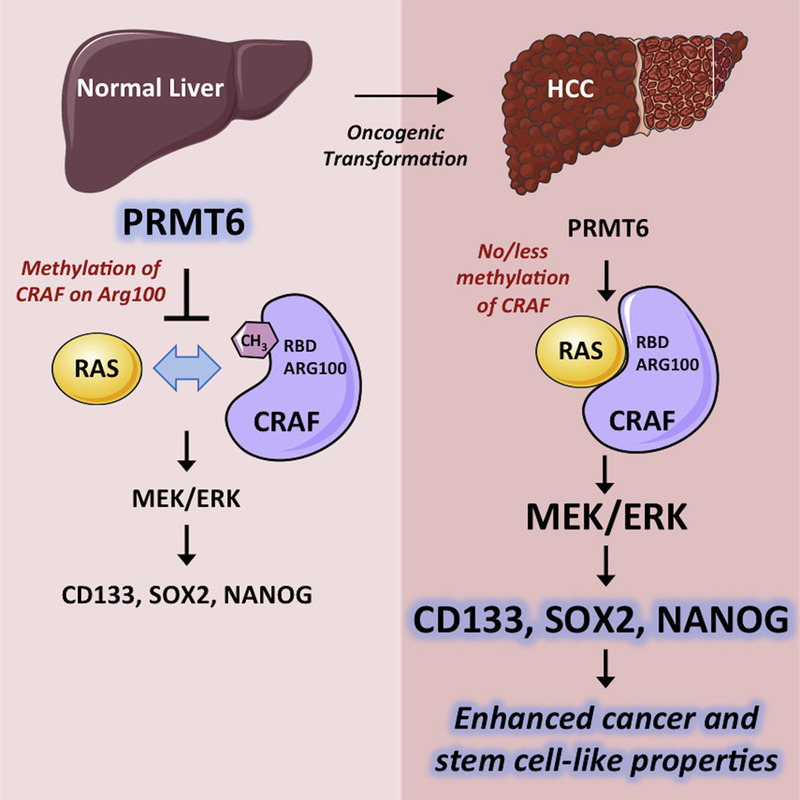 Our work on arginine methylation via PRMT6 in mediating liver cancer stemness is published in this week’s issue of Cell Reports. Read all about it!